Online casinos are becoming increasingly popular in Spain, just as they are around the world. The introduction of the Spanish Gambling Act in 2011 had a huge impact on the sector, opening up the market to a lot of new operators. Previously, each of the 17 autonomous communities in Spain had been given some freedom to decide their own laws on gambling and betting online. 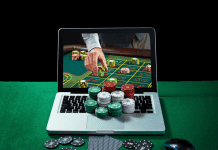 As you can imagine, this could get rather confusing and people in Spain were often unsure whether or not it was legal for them to use an online casino to gamble online. Fortunately the Spanish Gambling Act in 2011 has cleared things up and the market in the country has gone from strength to strength in the years since. This means those looking for no deposit sites have plenty of options, with betting companies making their offerings as appealing as possible to get people to sign up. But where should those wanting to gamble online from Spain go to visit casinos? We’ve picked out some of the best Spanish casinos to visit in 2018. Arguably the best online casino available in Spain, Casino 777.es has dozens of games to pick from, so visitors will be spoiled for choice. However, unlike a lot of the Spanish online casinos, the Casino 777.es is not available in English. So those who want to use it will need to know Spanish, or the site will be extremely difficult, if not absolutely impossible, to navigate properly. 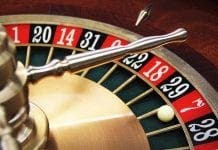 Slots like Bloodsuckers and Starburst are among the most popular online casino games for those signing up to get an account at Casino 777.es. 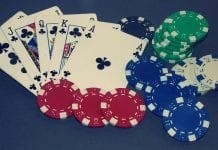 Blackjack and roulette are both well represented on this online casino website as well, so those who are fans of those games in particular will find this to be a good selection. Anyone considering signing up for an account at Casino 777.es should take advantage of the promotion they run for new customers. Make your first deposit and Casino 777.es will match the amount as a bonus up to €200. This is one of the better offers around at online Spanish casinos, so it is well worth taking on. Next on the list of the Spanish casinos you must visit this year is PlayFortuna Casino. Unlike Casino 777.es, this site offers a few different languages rather than just Spanish. So if you want to play in English, Russian or Polish, this could be a great casino to try out in 2018. All the major online casino bases are covered at PlayFortuna, from slots and table games to video poker and a live casino. The addition of a live casino follows in the footsteps of some of the biggest betting companies in Europe and this is an increasingly popular way for people to bet. Extra interaction in the form of a human croupier can make a game of live roulette a great way to spend an hour or two, while playing against the dealer in blackjack is also more fun this way. There is also a 100 per cent deposit bonus up for grabs to new PlayFortuna Casino customers, with their offer running all the way up to $500. However, it must be noted that the bonus scheme for new customers at PlayFortuna Casino has a wagering level of x45 required before users are able to withdraw any of the winnings. If you thought the 100 per cent deposit bonus up for grabs at PlayFortuna Casino was impressive, wait until you hear what is up for grabs at Tangiers Casino. This online betting site – which runs in a wide range of languages including Spain and English – offers new users a whopping 200 per cent deposit bonus, with no limit whatsoever. There is also a reload bonus of 100 per cent for customers who deposit for a second, third and fourth time, with this figure boosted all the way up to 175 per cent for the fifth deposit. It is an incredible offer they are running at Tangiers Casino, which offers everything you would expect from one of the leading betting companies in Spain, including video poker, table games, and a vast array of online slots. A live chat system is on offer at Tangiers Casino to help customers to resolve any issues with their account, while the banking at this site is renowned for being particularly speedy. The last Spanish online casino we are going to recommend in this feature is Casino Superlines. New Casino Superlines customers have the chance to get a 400 per cent deposit bonus, although there is a limit – which has been set by the site at €1,000. The deposit bonus repeats when you add more money into your account as well, with Casino Superlines offering a 100 per cent boost on a second deposit, while the third is 200 per cent. A vast amount of free money to play with is therefore up for grabs for those who want to sign up to get an account with Casino Superlines. Slots are the name of the game at Casino Superlines and there is a good choice, with machines on offer that are based on films, such as Planet of the Apes. Users who join Casino Superlines can also play slots including Gorilla Go Wild, From China With Love and Trump It in a bid to win the big jackpots. A major plus point about signing up with Casino Superlines is that this online Spanish casino has a very good VIP programme. There are four tiers to work through and those who reach the top of them – the platinum band – will get an ultra-exclusive mystery gift when they join. Other benefits include 24/7 VIP accounts manager, 10 per cent monthly cashback and entry to the Platinum Monthly Prize Draw. Anyone who values a strong VIP scheme from their choice of online casino will therefore likely find Casino Superlines to be a very good selection indeed. All four of the above online casinos are highly recommended, but the choice is yours!